To practice veterinary medicine, you must graduate with a Doctor of Veterinary Medicine degree from a four-year program at an accredited college of veterinary medicine and obtain a license to practice. Most states require prospective veterinarians to pass the North American Veterinary Licensing Exam, and most states require passing an exam on state laws and regulations. Admission to veterinary medicine programs is very competitive. 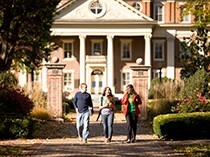 All programs require considerable undergraduate work, typically one year each of biochemistry, biology, English, math, organic chemistry, physics and social sciences. Applicants should demonstrate their interest, knowledge and commitment to the field by having completed an extensive number of hours in a veterinary setting prior to application. Pre-veterinary medicine students participate in the Health Professions Advising Group (HPAG), which is designed for students interested in careers in a variety of health fields. A rigorous preparation in the sciences, along with a strong liberal arts background and access to clinical experiences and research opportunities, will give you an edge in gaining admission to top-quality graduate programs across the country. You are encouraged to complete significant internships with healthcare professionals in their chosen fields. 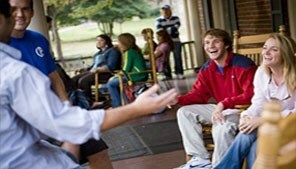 You'll also have the opportunity to participate in a wide variety of high-level research projects at Roanoke. Faculty advisors will work with you every step of the way, helping you select appropriate coursework and working with you as you prepare for admissions testing, draft personal statements and develop strategies for professional school interviews. Pre-veterinary medicine students of all majors are eligible to participate in this pre-professional program. As a Summer Scholar at Roanoke, Tyler Barnes '14 worked with Dr. Chris Lassiter on "Estrogen Activity in the Roanoke River." Estrogenic compounds pose a threat to wildlife by acting as endocrine disruptors, causing hormonal imbalances within exposed organisms. This imbalance can cause a decrease in organismal reproductive success. Her project examined if detectable estrogenic activity was present in the Roanoke River by exposing zebrafish embryos to collected water samples and measuring the activity of an estrogen-sensitive gene using qPCR (quantitative polymerase chain reaction). Barnes, a biology major, had been interested in veterinary medicine since childhood. 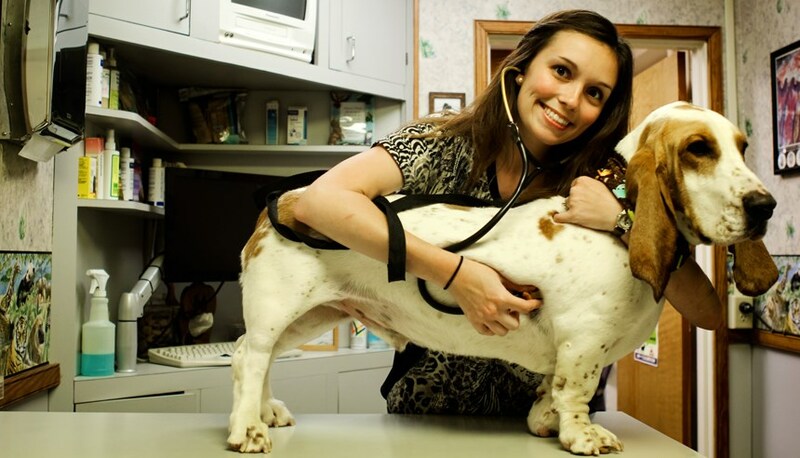 She was always around animals and developed a deep interest for them, but it was not until her senior year in high school that she decided to pursue a career in veterinary medicine. Barnes was salutatorian of her class, and is currently a doctoral student at Cornell University College of Veterinary Medicine. We'll set you up to do great on your GRE. Grants are available to pay for half of your test prep course, so you'll stand out when applying to vet schools. Our grads go on to top level veterinary programs. 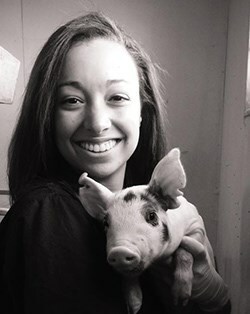 Two years into veterinary school at the Virginia-Maryland Regional College of Veterinary Medicine in Blacksburg, and Kayla Muncy '13 said she can't imagine pursuing another career. "This is what I was meant to do," said Muncy, a biology major and co-valedictorian of her Roanoke class, who plans to focus in small animal care. Muncy's path to veterinary school was paved with enormous support from several Roanoke professors, namely Dr. Tim Johann, a chemistry professor, with whom Muncy conducted research through the Undergraduate Research Assistant Program. Other professors conducted mock veterinary school interviews with her. Additionally, Muncy, a self-described animal lover, logged countless volunteer hours at vet clinics and at Roanoke's Mill Mountain Zoo.